Are you heading off to another EU country on holiday soon? Then remember to pack your European Health Insurance Card (EHIC) along with your passport. This gives access to state-provided healthcare during a temporary stay in any of the 28 EU countries as well as in Iceland, Liechtenstein, Norway and Switzerland. The card entitles you to state-provided healthcare under the same conditions and at the same cost as citizens of that country. In some cases treatment may be free. The card covers both pre-existing medical conditions as well as emergency care. Do remember though the EHIC is not an alternative to travel insurance as it does not cover private healthcare or return flights if you have to come home early for health reasons. Cards are issued by your national health insurance provider. UK citizens can apply for the card for free by going here. Avoid any site that asks for a fee. The EU and the UK have provisionally agreed that UK citizens and EU citizens in the UK will be able to use the EHIC after Brexit but this provisional agreement will only apply if the final withdrawl agreement is ratified. ©erik forsberg. Licensed for reuse under this Creative Commons Licence. Why not get involved in the #BeActive challenge by posting photos or videos of yourself running, skipping, jumping or anything else in between on Facebook, Instagram or Twitter using the #BeActive hashtag for your chance to win prizes? There will be one winner chosen every week between now and the 23rd of September. More information and the entry form is available here. This is part of the European Week of Sport (23rd-30th September 2017) to promote sport and physical activity across Europe. Travelling in Europe this summer? Why not have a look at the holiday-themed August edition of the EU Publications Office Newsletter. The selection of titles include practical tips for anyone travelling in Europe as well as information on EU consumer and passenger rights. Other topics featured are the European Health Insurance Card (EHIC), road safety and bathing water quality. Call into the European Documentation Centre in Taylor Library for a free copy of the leaflets on the European Health Insurance Card (EHIC) and Travelling in Europe 2017-18. EHIC is a free card which gives access to state-provided healthcare during a temporary stay in any of the 28 EU countries as well as in Iceland, Liechtenstein, Norway and Switzerland. The card entitles holders to state-provided healthcare under the same conditions and at the same cost as citizens of that country. In some cases, but not all, treatment will be free. UK citizens can apply for the card for free by going here. Some services charge to help you apply – these are unnecessary and you don’t need to use them. A leaflet about this is available electronically from the EU Bookshop or can be picked up from the EDC office in Taylor Library. An app containing lots of useful information on how to use the card and what it covers is available from the App Store (for iPhone owners) and Google Play (for Android users). Travelling in Europe, a leaflet published by the EU, has now been updated for 2017-18. It contains lots of useful, practical information about travelling in the EU and includes a fold-out map of the continent. You can download a free copy from the EU Bookshop or come and pick one up from the EDC in Taylor Library. © Image Copyright mattza and licensed for reuse under this Creative Commons Licence. 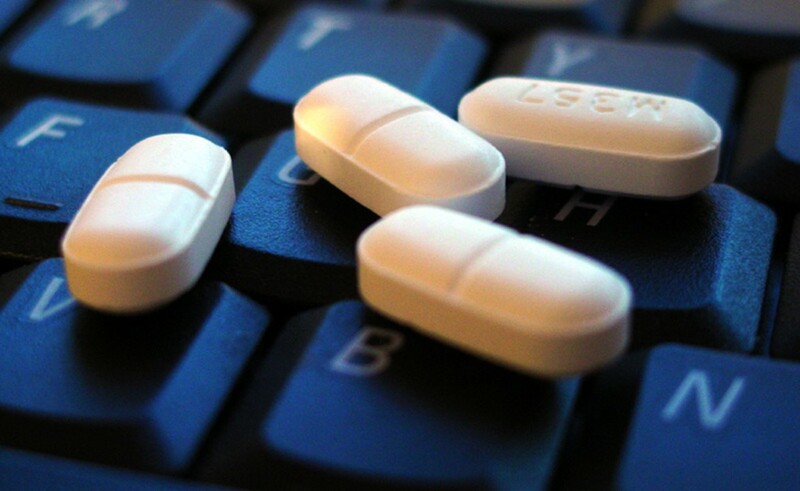 The illegal sale of medicinal products to the public using the internet is a major threat to public health and safety. From the 1st of July 2015 online pharmacies operating in the EU have had to display a common logo (that’s it on the right). Clicking on this logo ensures that the website is registered on one of the national lists of legally-operating pharmacies or supplier. Leaflets are available from the EU bookshop, and for loads more information click here. This free card is allows EU citizens to access state-provided healthcare while on holiday in the EU countries plus Iceland Lichtenstein, Norway and Switzerland. That’s Social Europe‘s promotional video for it above. A leaflet about this is available electronically from the EU Bookshop or can be picked up from the EDC office. Beware of commercial sites that charge for providing the card.